Choosing the top 5 netbooks of your choice is pretty tough. The market is now flourished with an excellent range of new netbooks which are portable and easy to use. Time is an important factor in today`s world. Every minute of your life is valuable. and its battery life is quite low. 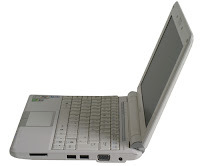 Second is the Asus Eee PC 901. Multitouch touchpad is its unique feature. Bat tery life of this notebook is exceptionally good. The notebook has in built Bluetooth and wireless radio. The notebook has a glossy finish and a gorgeous look. 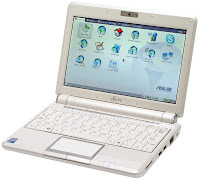 Spiffy in performance and easy to use, Asus Eee PC 901 is one of the most recommendable notebooks. makes it a wonderful package. The HP Compaq 2133 with a VIA processor is another wonderful netbook. Inexpensive, portable, and a broad keyboard are its main feature. 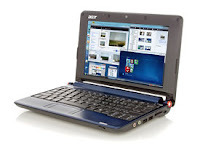 It is considered to be among the best of mini netbooks. The battery life is not much impressive but still it attracts buyers for its excellent functionality and portable size. The notebook is claimed to have the best keyboard. The MSI wind netbook is teh next. The notebook posses a large screen and battery life is pretty good if not excellent. There is no integrated BG but the keyboard is amazing. The device is one of the most recommended notebooks across the globe. Dealers and buyers both claim that MSI wind is the best notebook available in the market.